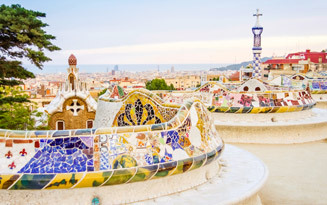 The don Quijote school in Barcelona is situated in the heart of the central, vibrant L’Eixample neighborhood that is only 10 minutes walk from both the Plaza de Catalunya and Plaza de Espana. 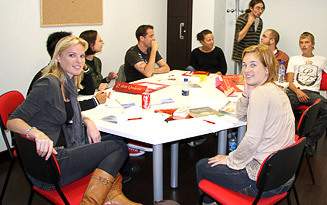 The schools has both a premium location in one of Spain’s most impressive cities, as well as extremely high quality facilities making it the perfect place for a language learning experience. Emergency phone line available 24/7 Cultural orientation of new surroundings Professional guidance mentor Present throughout daytime hours One of Europe’s finest cities. Experience an authentic Spanish lifestyle. Every dQ student has access to a wealth of library resources that include study guides, DVDs, CDs and reference books. 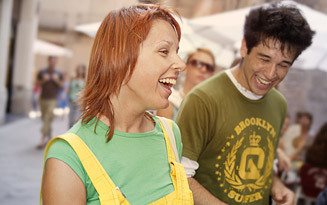 Rapid Internet connectivity as well as computer labs are available in the Barcelona Language School. Oral and written tests are conducted on the first day of school to ensure that the student is placed in the appropriate class level that matches their ability. A certificate of completion is awarded at the end of the course. 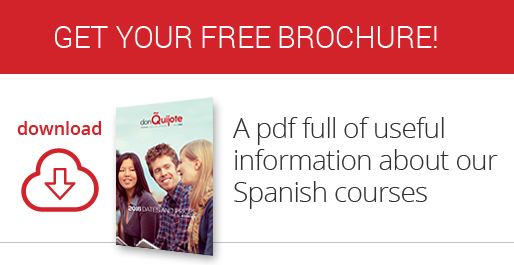 don Quijote has over 27 years of Spanish teaching experience by certified instructors that is now offered across two continents, in 11 distinguished countries in 35 language schools. The Spanish school in Barcelona is a spacious, modern edifice that boasts 55 separate classrooms spread generously over 2600 square meters and 3 floors. There are also sizeable common areas, both inside and out, including a private guardian and an indoor patio. The language center is directly accessible from 8 separate public bus routes and the metro station is just 5 minutes away. 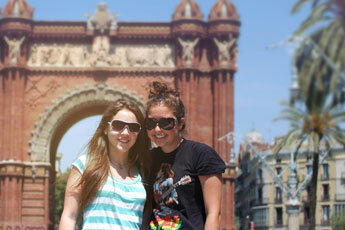 It is easy to explore the amazing city of Barcelona and travel to the dQ language school. 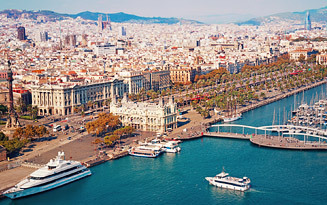 Barcelona is a city brimming with culture, activity and history. 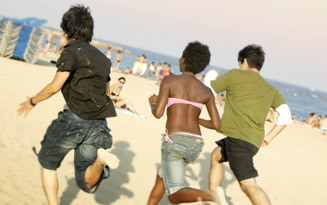 There are a multitude of activities and things to do that cater for almost any personal taste. 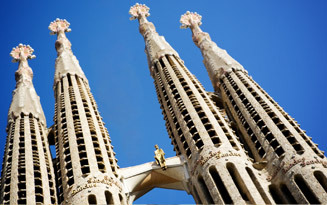 Whether it is viewing the fascinating architecture, such as Gaudi’s world famous “La Sagrada Familia”, exploring the number of interesting museums, shopping, or relaxing on the beach, the Catalan capital city has no end of options for people wanting to take full advantage of their time spent there. 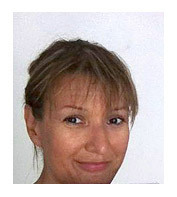 I have been working as the School Director at the don Quijote school Barcelona for 22 years. During this time I have tried to ensure, along with my team of teachers, that all the students who have visited our school have fulfilled their expectations and achieved their objectives. We believe in work being done well and to a high standard, and we think that the student is the focal point of our profession and strive to help them learn our language and culture. After almost twenty years working as a teacher at dons Quijote Barcelona, what stands out is having been in contact with so many people of different ages, countries and cultures. For the majority of this period, I led the cultural tours and excursions where I showed them the best of our history, art and culture. All of this has been a positive and mutally enriching experience and has given me a broader and more realistic view of the world that’s around us. The best thing about don Quijote is the students. After many years working as a teacher at the school, I have had the good fortune of meeting many people from all over the world and every one of them had something special. In every group, in addition to teaching and learning Spanish, we share personal experiences, different perspectives, different cultures and all kinds of stories that make every class into an unforgettable experience that I would recommend to everyone. 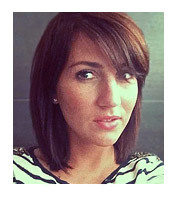 My name is Ana T Herrero, and I have been working at don Quijote Barcelona for 16 years. Nothing is more rewarding than the multiple acknowledgements that we have received and that we receive from our students, I can say this with confidence as I have seen many of them return to the school after their first experience. Getting students to fulfill their expectations is the ultimate goal I have always had as a teacher. Barcelona is a city that has always interested me and I think this trip was the best decision of my life!. 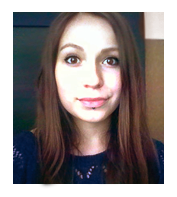 My teachers are great examples of good teachers, they really encourage you to learn the language and dedicate themselves a lot to each class. I also was lucky with my apartment roommates, a group of really nice girls. With them, each day has just gotten better! In general, if anyone is unsure about taking a trip like this, just do it and you won’t be disappointed. I loved the don Quijote school! Having two different high quality Spanish teachers, combined with regular practice of the language, greatly improved all aspects of my Spanish language ability. If you want to have an amazing time and learn a lot, I would thoroughly recommend don Quijote! There are different meal regimes to chose from during your time spent with a host family: full board (three meals a day) half board (breakfast + lunch or dinner) or breakfast only. 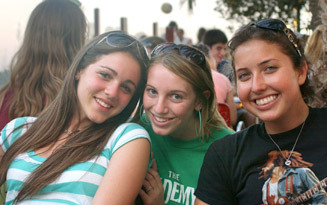 don Quijote acknowledge that some of our clients might want to experience the highest possible level of comfort and privacy during their period studying abroad in Spain. To this end, we provide the option of renting a whole apartment throughout your stay. The private apartments range in size and occupy well-positioned areas of the city. Clients can choose between the standard or premium option. The standard option is a basic student apartment that is private which a student can fully rent out. The premium option is an apartment with amenities and furnishings of a very high standard. The premium private apartments also come with a weekly cleaning service as well as WiFi/Internet access.